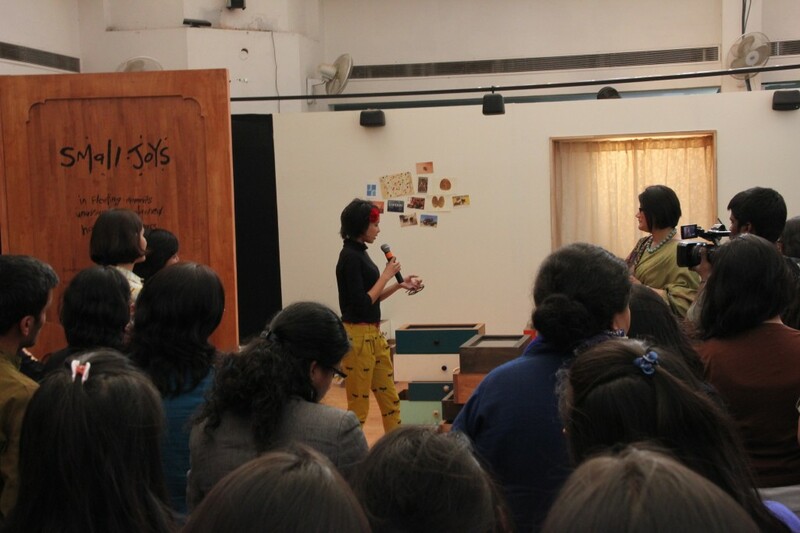 Joshua Karthik, from Asian Paints, then explained the process by which Asian Paints and CKS identified the colour trends for 2012, with the help of not only designers, but sociologists and anthropologists. The spaces themselves also reflect the social trends from which the colour palettes find inspiration. Participants were invited to explore each of the installations and their color palettes and discuss whether or not the palettes spoke to the theme. The installations were collectively well received. Each person found that certain installations struck them with truly resonating themes, but all noted the relevance of each in society’s recent trends. 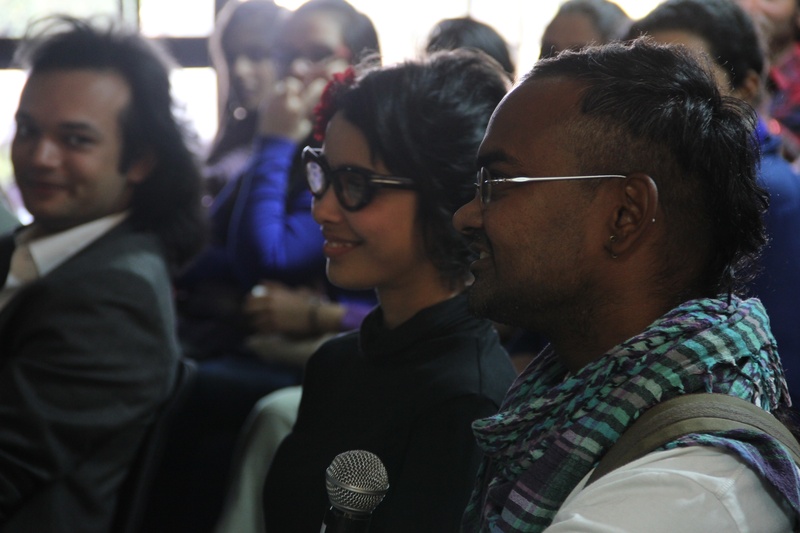 Some participants were excited by the adventurous individuality of Headrush, drawing from it the blended ideas of fierce conviction and perceived security in today’s youth that encourages risk taking and dissipates the fear of failure. Others found more connection with Crystal, whose symmetry, transparency, and misty colours evoked a sense of spiritual longing, of aspiration towards harmony between all people and nature. Awakening brought up the idea of ‘collective consciousness’ and moving towards higher goals. 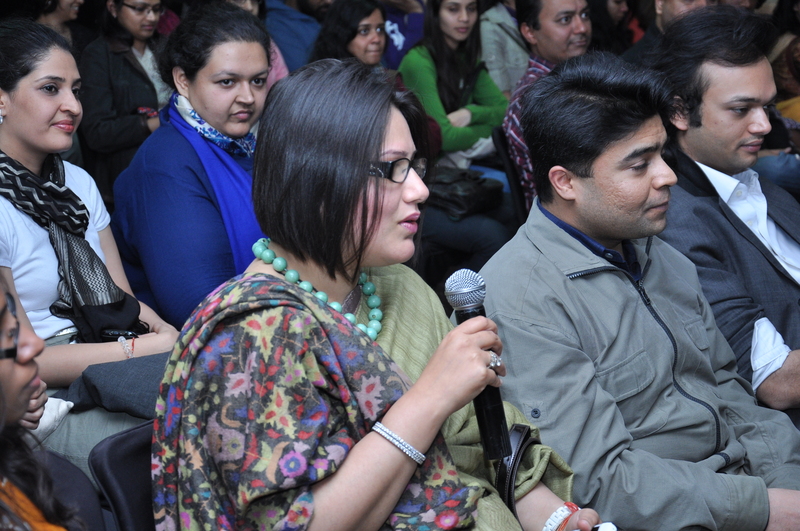 Some participants thought of individual empowerment, others of collective ascension to a better society. At Small Joys, participants found resonance with the struggle to find peace in a fast-pace urban culture, and the nostalgia for a simpler time. The best received palette belonged to Awakening, whose soft and delicate, yet bright and uplifting colours lend both harmony and energy. At Small Joys, there was some debate about the applicability of the palette. On the one hand, its muted hues and unconventional collection seemed ill-suited to a theme so playful and fun. Other participants however, moved by the sense of memory in the installation, thought the palette perfectly suited to the idea of nostalgia. In the Headrush palette, shades of grey were thought to compliment the theme as it related to technology, and bright primary colours, such as yellow and blue, where unexpected, but brought energy and a wild aspect to the palette. Participants were least enthused about Crystal’s palette. On the whole, they thought the misty colours too drab and dull for the idea of purity and spirituality that the installation conveyed. The varying individual preference across the four palettes showed the subjectivity of each person’s relationship with colour. 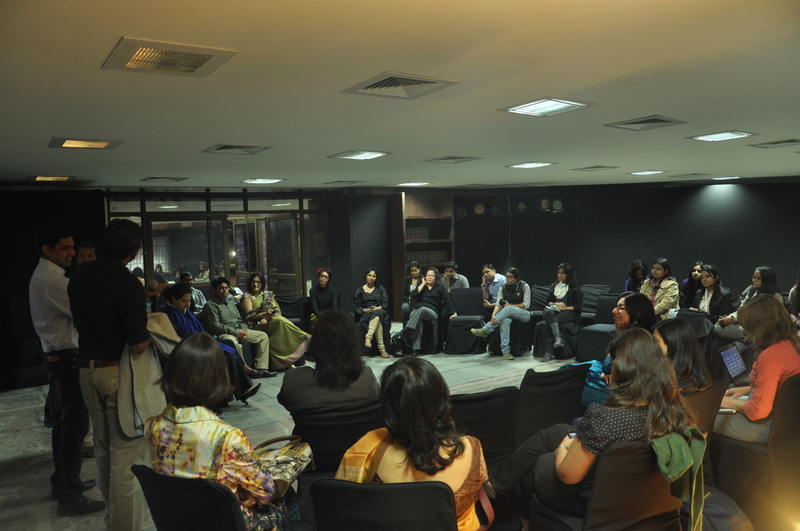 At the end of the evening, Joshua Karthik mediated a discussion to synthesize all the different opinions voiced and to ask how participants envision ColourNext themes and palettes being used in their own work. As the discussion progressed, the group observed that all of the themes and that the social trends identified reflected an exclusively urban mentality and environment. 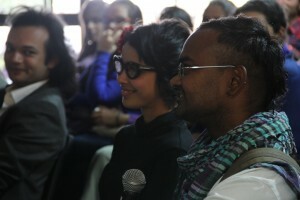 Some participants were upset by the lack of traditional Indian colours in the palettes, and debated as to how they should be included. 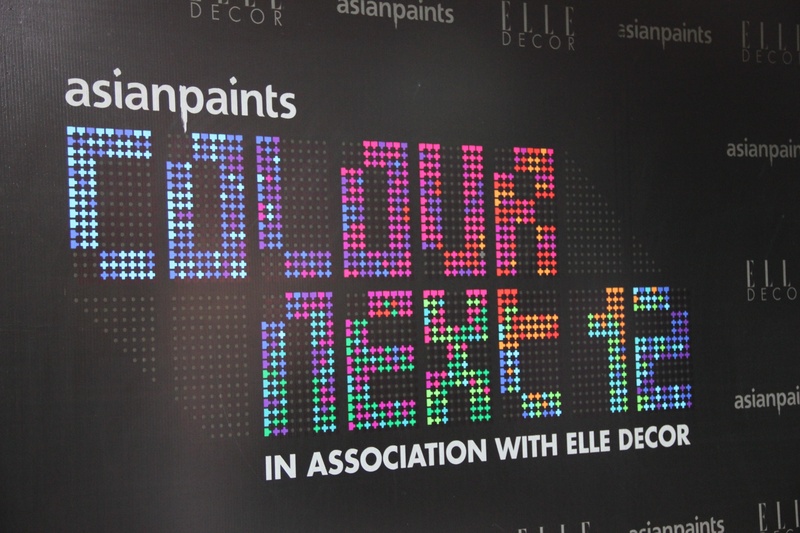 The ColourNext Dialogues ended with a desire to continue the debate and an invitation to participants to contribute Asian Paint’s ColourNext projects for 2013. For an overview of the ColourNext Dialogues held in Mumbai, click here, and for more information on the Dialogues in Delhi, click here. 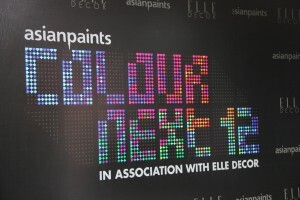 To learn more about the process of locating the trends for ColourNext, click here.